In addition to conference room video systems, most companies have desktop software like Microsoft Lync or Cisco Jabber for internal chat and video. Business grade multipoint video conferencing with more capabilities and fewer restrictions at a significantly lower cost than traditional bridging hardware. Why settle for status quo when you don’t have to? BlueJeans cloud video conferencing platform breaks the barriers of infrastructure deployments and frees your organization to use video the way you’ve always wanted to. BlueJeans Primetime makes self-service, collaborative events easy for organizers, presenters and attendees. By leveraging the cloud, BlueJeans offers a solution that connects devices together into multi-party video conferences without requiring MCU hardware. You can also add users on demand, at your own pace. More and more companies are turning to the cloud for their most critical business needs. 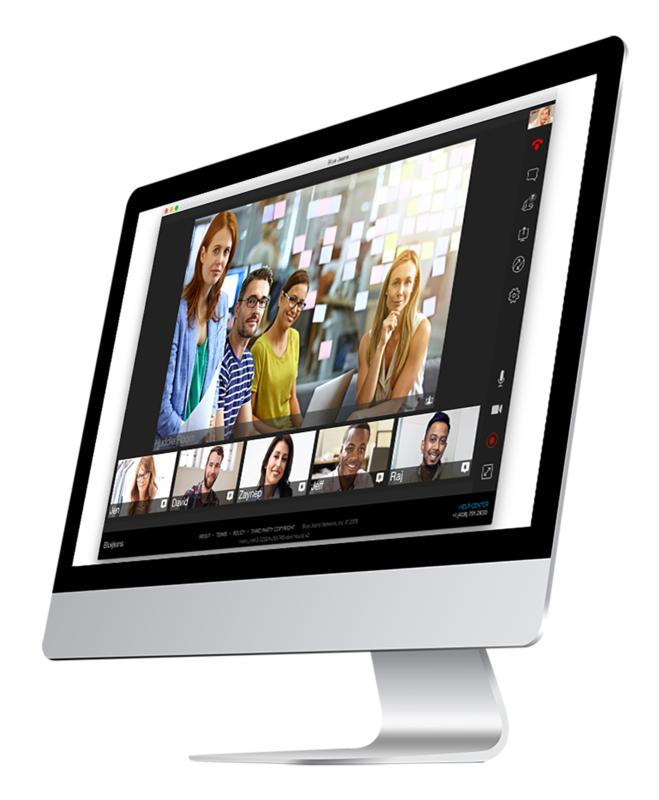 BlueJeans cloud-based service provides an instant, easy and scalable video conferencing platform. No hardware or software to manage. Enterprise-wide rollout couldn’t be easier with BlueJeans. Admin level features equip IT managers with the tools to easily support and manage multiple aspects of the service. Traditional video conferencing infrastructure requires you to buy for maximum capacity. We think that model doesn’t necessarily have your best interest in mind. BlueJeans dynamically scales to meet your fluctuating needs, without requiring you to overbuy. Because BlueJeans sits in the cloud as a meet-me service it eliminates much of the complexity and additional hardware required to manage firewall/NAT access typically required for an on-site MCU deployment. Schedule on the fly, join via meeting ID and start your personal meeting – all through your BlueJeans mobile app. With the industry’s broadest range of multi-vendor interoperability, participants simply use whatever video enabled device or software they have available to connect effortlessly to a BlueJeans meeting. It doesn’t take a manual or a cheat sheet to schedule, host or join a BlueJeans meeting. BlueJeans finally makes video meetings easy. Don’t just take our word for it try it for yourself.